More than 1000 magical or hidden places to explore in southern and eastern England from Daniel Start, author of Wild Swimming. 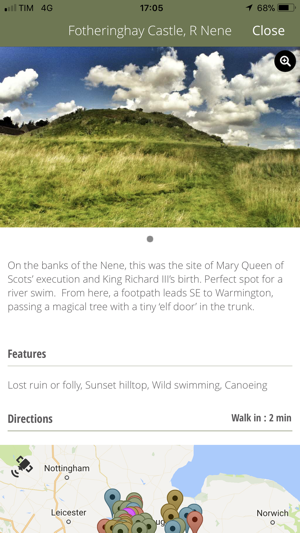 Containing all the content from the Wild Guide (Wild Things Publishing £15.99, 2015), this app provides all you need to explore this beautiful and accessible region. You will find preloaded maps, photos, directions and travel writing to inspire and inform. Many of the land and water adventure locations comes with stunning photography. 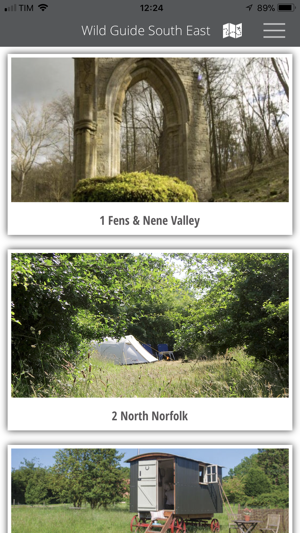 There are entries for pubs, campsites and attractions (usually without photos). 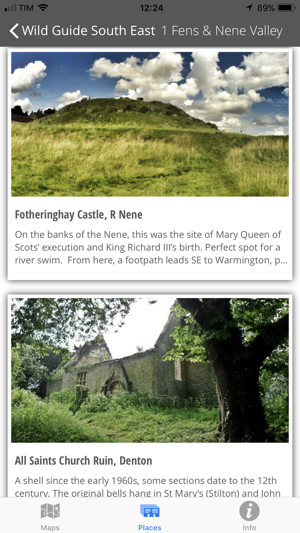 If you need inspiration you can browse the app by slideshow, list, photo gallery and on an interactive map. Ask the app to find places close to you, or search using postcode, address, star rating, walk-in time, keywords or other features. You can share places on email and Facebook and save favourites too. 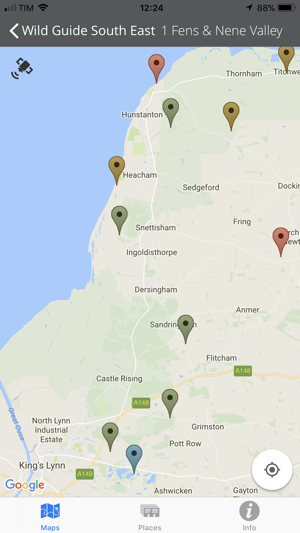 I brought this app expecting to see in the different locations a verity if swimming locations however they are littered with pubs, walks and places to stay not even a clear colour coded system. I would get a refund but App Store does not support refused. Over disappointed, deleted app with 5 minutes of buying! Content is good - same as the book, but search doesn’t work at all, and browsing on the map is really difficult so the book is actually more usable. Pity.